Home / 2019 / March / 27 / Thank You!! Thank you so much to the Giving Guild who raised a phenomenal amount for our school at their annual Giving Guild lunch. 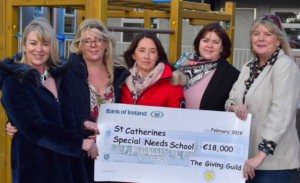 We had a lovely visit from ladies from the Giving Guild who also met with some of our Parent’s Association to hand over €18,000 raised at the 2018 Giving Guild lunch. 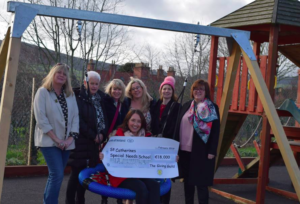 This donation means so much to us and will go to very good use in helping and supporting our student’s needs.